Some years ago, Jo Cullen, when she was Manager of Wickford Library, organised a display about Wickford’s history. This included memories and photographs contributed by local people. 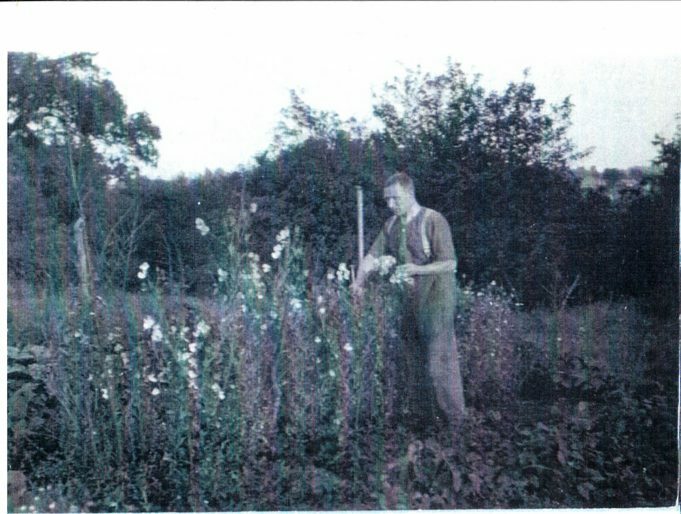 One such account came from Shirley Butterworth who told of her weekend experiences of the Plotlands, which “were paradise for a London child and instilled in me a love of nature and the countryside”. This account is taken from Shirley’s written contribution to the exhibition. Her father and grandfather had clubbed together before the Second World War and purchased a large piece of ground off Swan Lane. This “plot” was at the end of Carlton Road which then joined Station Avenue. She remembers a few timber-built bungalows along the track, one called Happy Days and another called Marjory Daw. The roads were unmade, almost impassable in winter and deeply rutted. She thought that residents probably filled holes and used bricks, stones and rubbish to try to make useable paths. 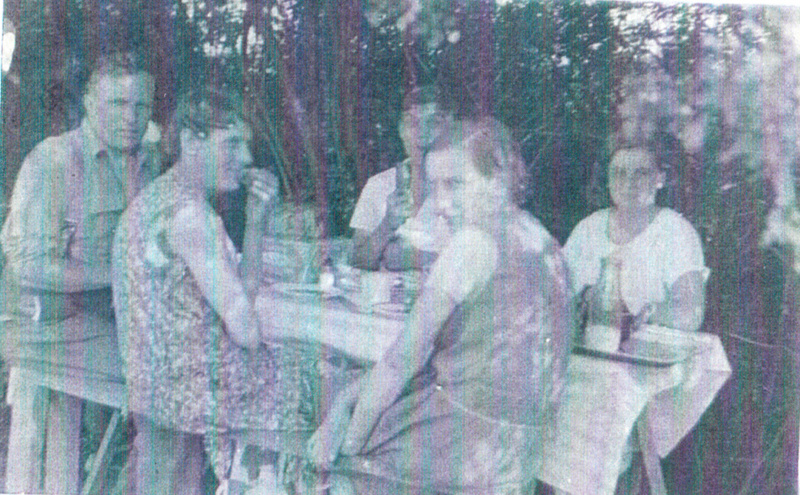 During the war she lived with her grandparents in Tottenham, East London and every Friday night they would catch the brown and cream City Bus from West Green Road, Tottenham, to the Castle Pub in Wickford High Street [where Aldi now is]. From there they would walk across the fields and footpaths with the aid of torches and laden down with provisions for the week end, past Barn Hall, to the site of their plot. 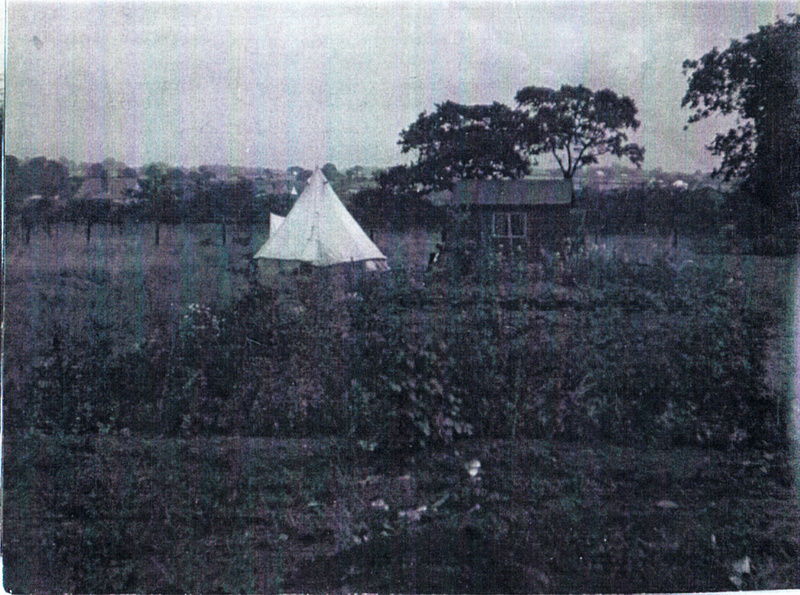 The family had built a hut which contained two bunkbeds and they would also erect a tent to house hay mattresses. Shirley remembered “the smell of oil lamps being lit, all the bustle of arrival, and the taste of cocoa, before falling asleep in my bunkbed”. 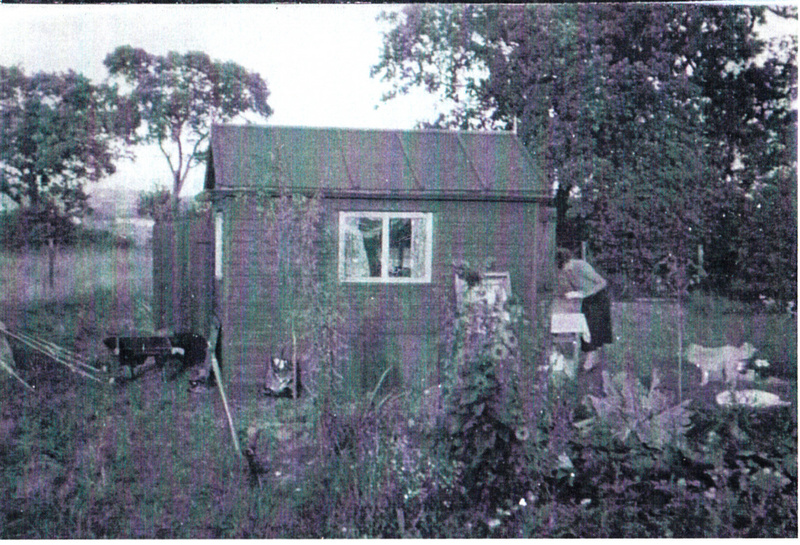 Shirley’s grandfather, George Freshwater, grew vegetables and flowers in the heavy clay soil and constructed a long arch at the front of the hut which was covered in roses through the summer. There were fence posts around the land which were creosoted every year. “I loved the smell”. Items for gardening were bought from the ironmongers, Mayes Bros, in the High Street. Water was fetched from a standpipe up the hill near the Barn Hall moat. After the evening meal on Saturday and the completion of the washing up, George would go to the Quart Pot for a pint and some arrowroot biscuits. Shirley would play in the garden and the hollow tree outside the pub, where the fairies lived. She recalled the winding walk back along Church End Lane “very happy to be in the countryside. The sky and stars were always fascinating on this walk back due to the lack of streetlights, I suspect”. There was another favourite walk, across the hill to Ramsden Bellhouse, which she took with her father in 1946 after he was demobbed. “On Sunday evenings we would lock up and, with bags full to bursting with vegetables and flowers, walk to the Castle Inn to catch the bus back to London and the bombs”. The hut and the tent, with garden . Garden, corner of Carlton Road / Station Avenue. 'Two Views of the Same Location'. "Little Tudor Palace in Runwell"
An early photo of Runwell Road. Building of the Wickford Bypass (Golden Jubilee Way). Memories of Pre-fabs in Wickford. Photographs around Wickford, some unknown locations. Runwell Boxing Day Walk, a history. Runwell Road, looking north east. The site before it became Alpha Garden Centre, on London Road. The Wick before it was built upon - wild flowers. The Wick before it was built upon. Wantz Corner, can you help with the date? Wick Lane, railway men's cottages, c.1915 - 1930. Wickford scenes, then and now. Wickford Station - at the beginning, and more recently.